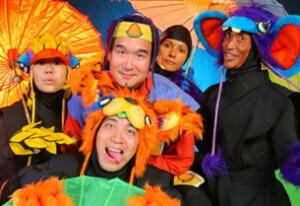 Last year Honolulu Theatre for Youth served over 115,000 students, teachers and families across the state of Hawaii. We strive to maintain top quality, while keeping prices affordable for all. Earned income from ticket sales and program fees covers only one half of the cost of our programming. We depend on grants and donations from government, foundations, corporate sponsors and YOU to cover the remaining costs. Your contribution helps to ensure that all children statewide benefit from HTY’s excellent programs. Hawaii’s future will be determined by today’s children, by including theatre and drama education in every child’s life we encourage them to become creative critical thinkers and inventive, imaginative problem solvers, who will make that future bright. You know that your contribution assures that HTY’s vision and the power of drama penetrates our communities. Each year, HTY mounts six to eight professional productions and many drama education programs for schools, families and professional teachers and Teaching Artists. Income from school and public performances and from dram programs provides about half the money needed to present the season. Donated income, from government, foundation and corporate sources – and from YOU, our dedicated individual donors – helps to ensure that ALL children statewide benefit from HTY’s excellent programs. For example, it costs us approximately $20 a child to present a production, while we charge only $5 per child to attend. 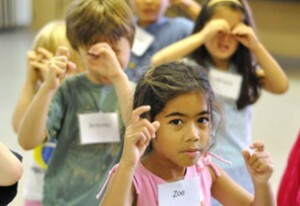 In many schools, we charge even less, to ensure that Title One students can also see our plays. Your donations make a direct difference in the number of students we reach annually. Each season, HTY presents six to eight professional productions and drama education programs to over 100,000 children statewide. We’ve been inspiring our communities to dream and dare for over 60 years! 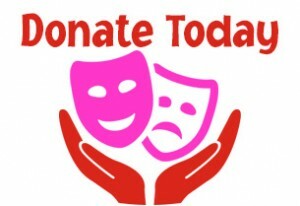 We are proud to partner with donors who support these plays and education programs. Join our current sponsors and help us to change the lives of children through theatre and drama education for another 64 years. We are currently looking for sponsors for our 2018-2019 Season. Please call 808-839-9885 x 703 for more information. dedication to serving our communities through artistic excellence.